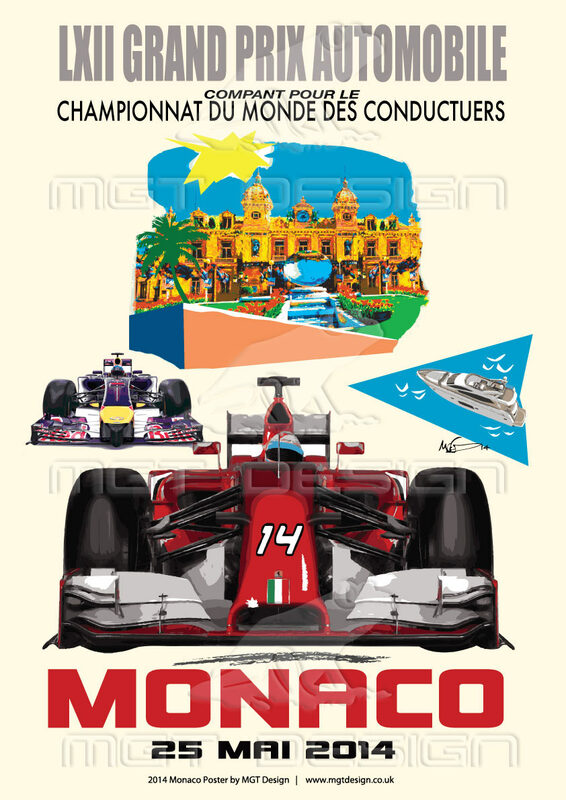 After nothing but rain so far this year, it looks like we have a sunny weekend ahead for the Monaco Grand Prix. 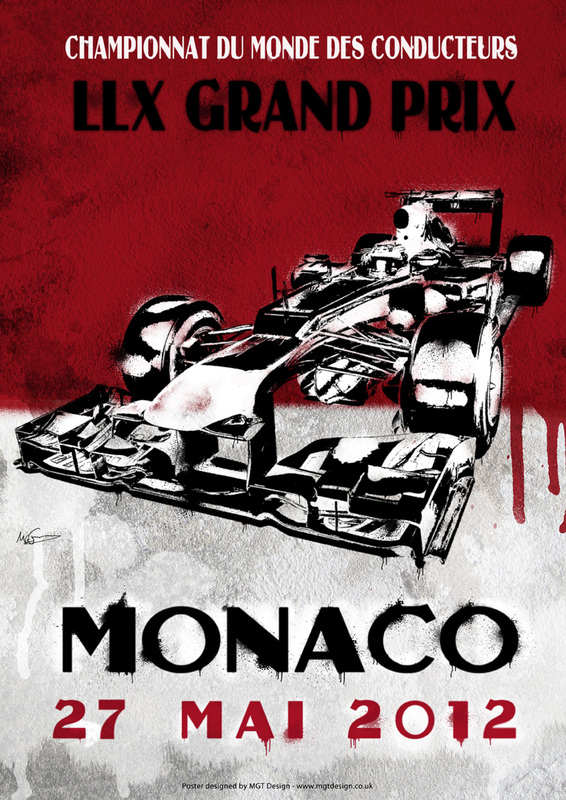 Last year we took a look at the posters designed over the years for the Monaco Grand Prix and produced a limited edition poster in the style of the Art Deco posters. 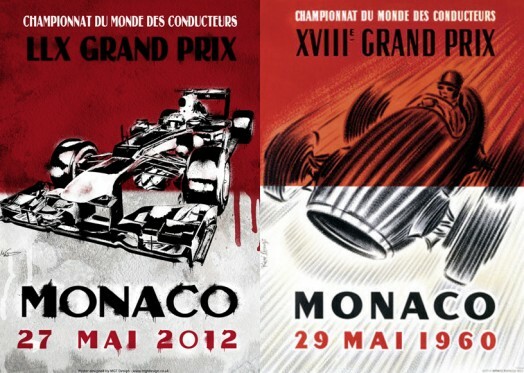 This year we have taken a look at the 1960 Monaco Grand Prix poster and based the 2012 Poster on this but with a Modern Style. 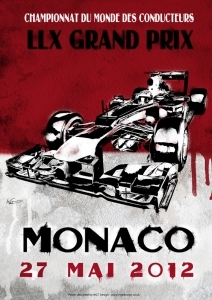 As stencil graffiti street art is very popular at the moment, rather than using a pencil illustration for the main graphic we have used a stencil.